Committing to a healthy skin care regime is an important component to combat ageing skin. Believe it or not, the first signs of ageing can become apparent at the ripe age of 21. How skin ages will depend on a variety of factors from one’s lifestyle and diet to skin care habits. But let’s face facts – quality skin care products can be costly with some doing more damage than good because of the harsh chemicals it contains. With some a populated skin care market, it becomes a struggle looking for skin care products that are ultra-gentle and effectively cleans the skin without damaging it. Wouldn’t it be ideal if there were instead a skincare line that could deliver effective results, giving women everywhere the flawless and youthful complexion and at a more affordable price? 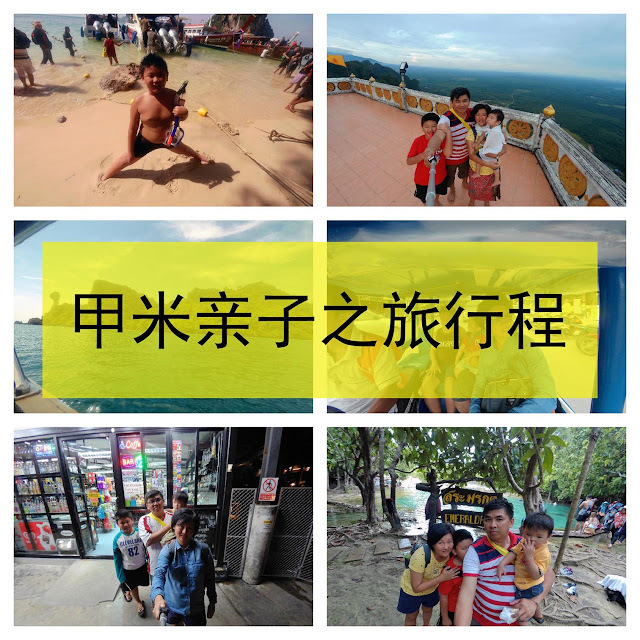 Well guess what – there is! 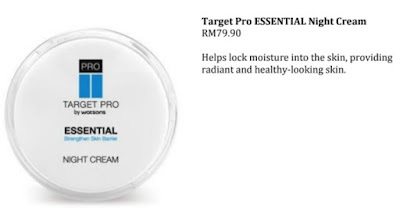 Introducing the latest luxury skin care range made affordable – Target Pro by Watsons Essential Range – a targeted skincare range consisting of multifunctional beauty products to satisfy specific skin conditions. Originating from Japan, the products are scientifically and dermatologically formulated with only the safest skin care ingredients, treating particular problem areas but also strengthens the skin’s barrier to reveal one’s timeless beauty. With skin acting as the first line of defence against external aggressors, its constant exposure to elements such as UV rays, pollution and stress can weaken the skin barrier. This results in a weakened skin barrier, which leads to various skin sensitivities such as dry skin and visible redness. 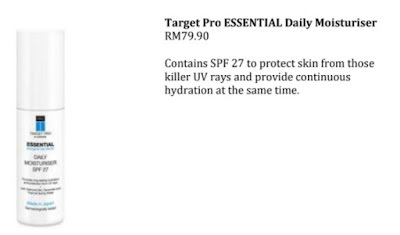 In view of this, the Target Pro by Watsons Essential Range has been carefully developed to combat and improve the skin barrier, resulting in long-term youthful and strong skin. The superstars of this skincare range are its two key ingredients - Diamond Sirt and Ceramide. Diamond Sirt acts as an essential DNA protector that prevents skin cell damage and delays the process of skin cell degeneration. This means younger looking skin for a longer period of time. Unknown to many, Ceramide is an essential moisturising ingredient found naturally in skin. Interestingly enough, the lack of Ceramide is often the main cause for sensitive skin. Fortunately, this new skincare range includes this powerful ingredient to replenish and lock in moisture while simultaneously boosting the skin’s natural barrier function, protecting it from dryness and external irritation, ensuring that the skin is constantly moisturised and healthy. 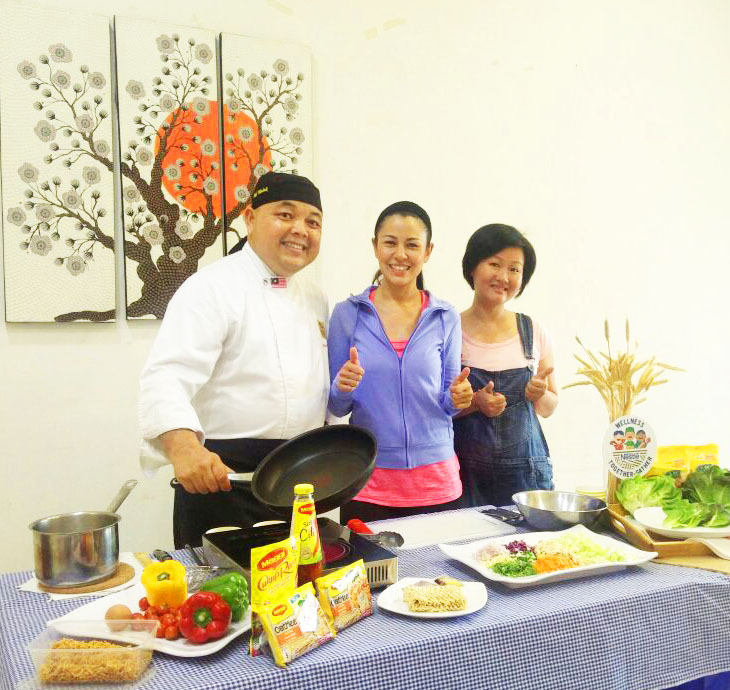 “With the changing weather extremities in today’s world, taking care of one’s skin becomes that much more important. 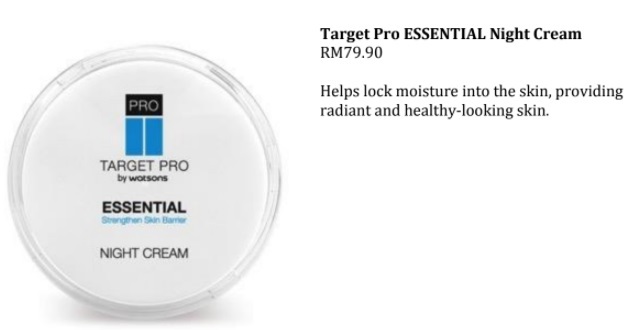 The Target Pro by Watsons Essentials Range is the perfect solution for those seeking to boost the skin’s defence system and improve skin elasticity. This is all in efforts of achieving outstanding, age-defying results,” said Professor Kawashima Makoto, Professor and Chairman of Dermatology of Tokyo Women’s Medical University and is an endorser of the skincare range. 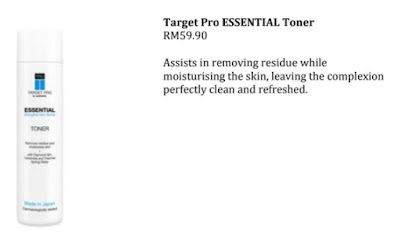 Target Pro by Watsons Essential Range offers a select number of products such as a hot cleansing gel, toner, daily moisturizer and night cream. 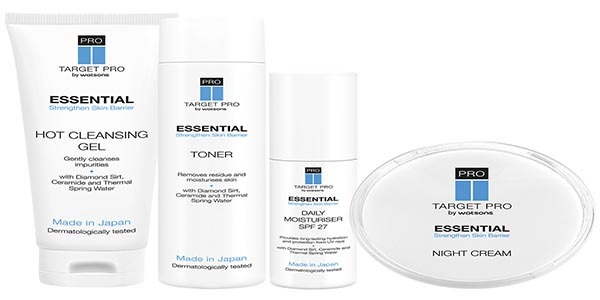 All Target Pro by Watsons Essential Range products are dermatologically tested and guaranteed to be alcohol-free, paraben-free and fragrance-free. 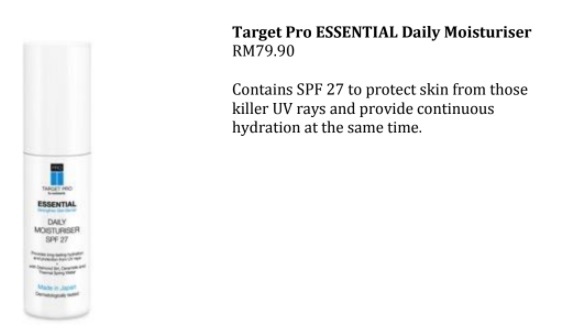 The products are affordably priced between RM59.90 to RM79.90. 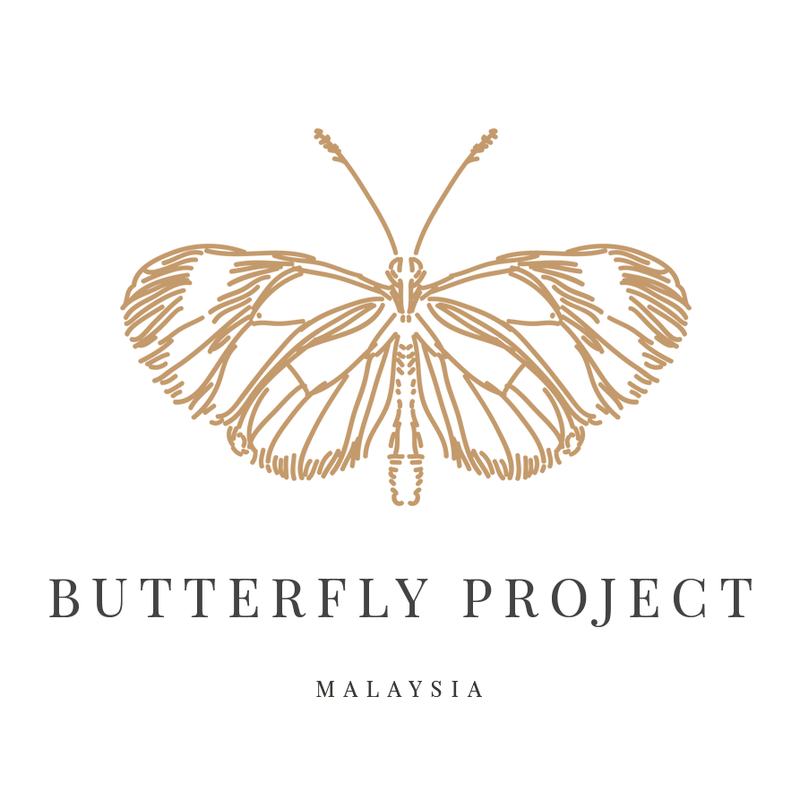 The range will be exclusively available online and instore at Watsons outlets nationwide from 4 January 2018 onwards.